I have never been a fan of coleslaw because all I can really taste is the mayonnaise. 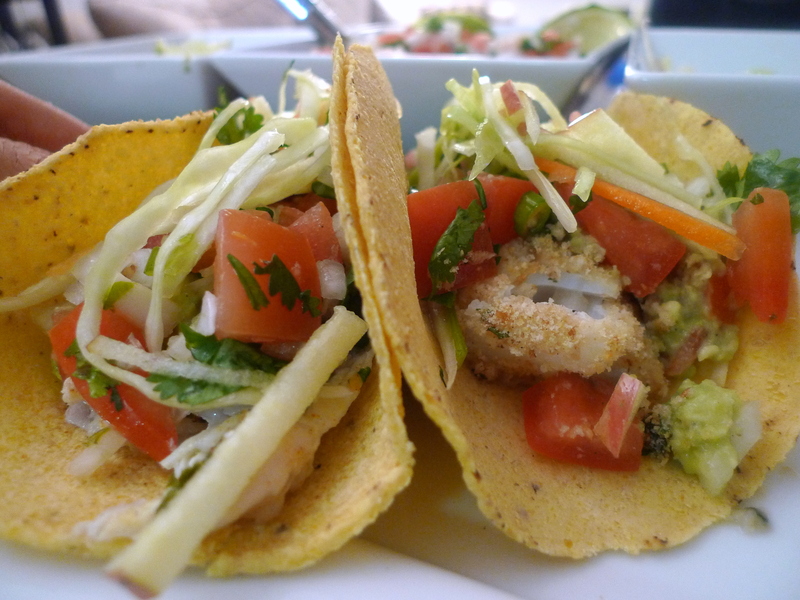 However, after trying the apple cider slaw with Barmarché‘s crispy bass taquitos in soft-shelled flour tortillas with guacamole and pico de gallo… I realized not all slaws were so bad. Slaws in general are basically salads composed of primarily raw shredded cabbage and definitely don’t need to be doused in mayo. Rather, douse it it in something really amazing like apple cider! I originally made this as a taco topping for my Baked Fish Tacos, along with Guacamole and Pico de Gallo. However, I ended up making more just as a side salad to snack on it was so good! I didn’t have red cabbage sadly, as that would have made it so much more aesthetically pleasing… but oh well, we do what we can! 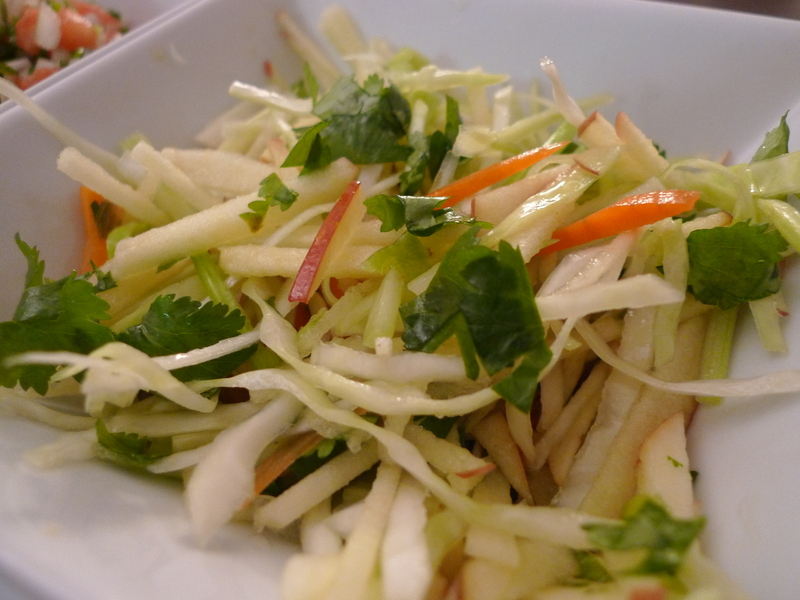 In a large bowl, toss together the green and red cabbage, carrots, celery, apples, and parsley. In a small bowl, combine the olive oil, apple cider vinegar, sugar, and salt. Pour over the cabbage mixture and toss well. Serve, or cover and chill until ready to serve. Enjoy as a salad or as pictured below with some Baked Fish Tacos, Guacamole, and Pico de Gallo.